Vancouver recently played host to rising Atlanta phenom 6lack, whose name is derived from his upbringing in the Zone 6 area of East ATL. The show sold-out with ease and took place at the massive Harbour Convention Centre, which used to be home of the now defunct Edgewater Casino. Vancouver has always proven to be a good market for 6lack, but I was still somewhat surprised just how much his fan base has levelled up since his last sold out show the Commodore Ballroom in Nov./2017. 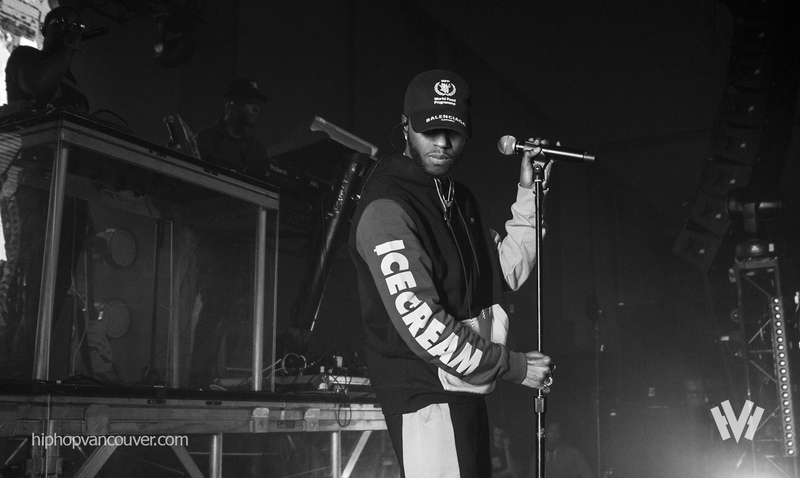 A year later 6lack returns to our city touring off his highly acclaimed album, ‘East Atlanta Love Letter’ and yet again sells out a venue that is twice the size of the place he rocked just a year prior. 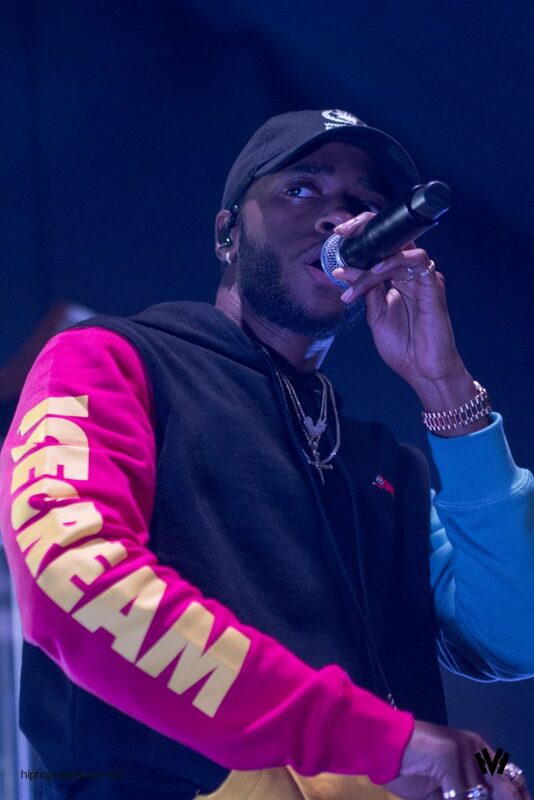 Backed by a full band, 6lack launched into several fan favourites off his first album Free 6LACK such as “Free”, “Learn Ya”, and the popular “Ex Calling”. However this night was dedicated to his new album EALL and the wall to wall audience was eagerly awaiting their chance to hear their favourite Spotify artist deliver these new cuts live for the first time. 6lack appeared to be in the pocket and extremely comfortable giving the Van City fans what they came for and they returned the love by singing along and eating up every word to every song. 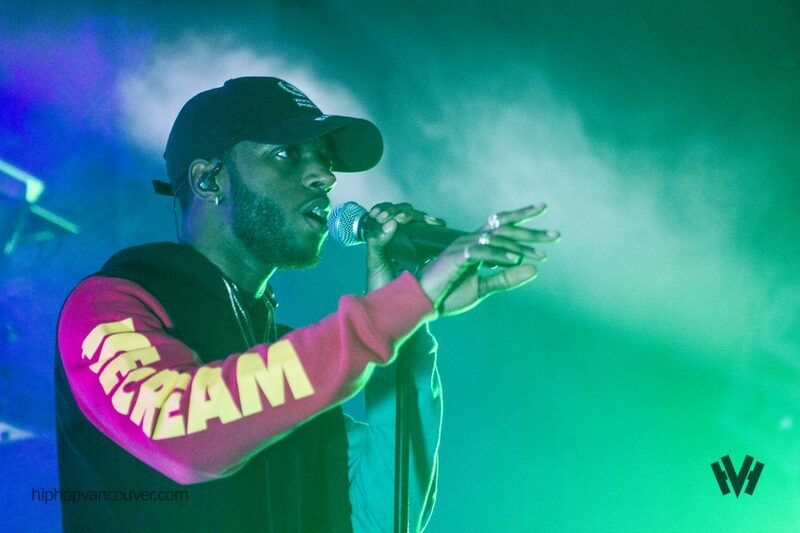 Upbeat smash joints such as “Loaded Gun”, “Let Her Go”, and “Switch” had the spot bumping and when needed, 6lack would dial back the tempo and speak directly to the ladies on songs “Seasons”, “Stan”, and “Disconnect”. 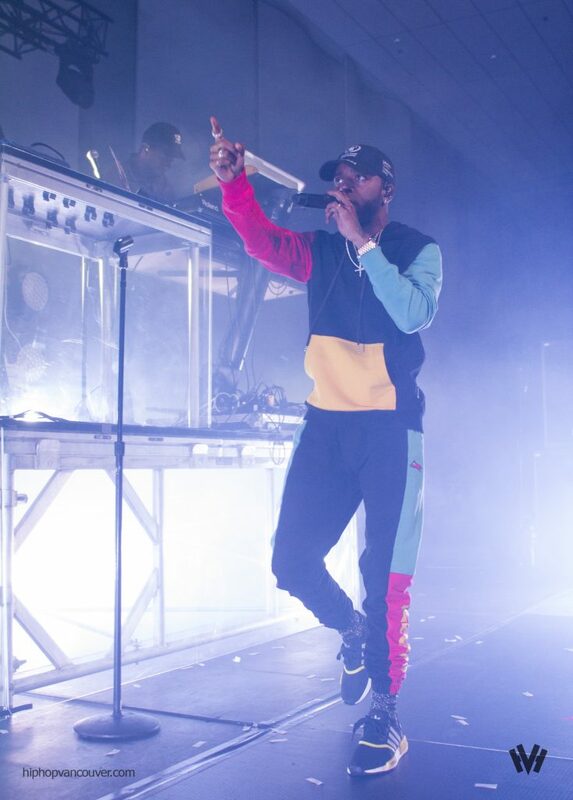 A fun moment was when 6lack kicked off “Pretty Little Liars” and when it came time for J. Cole’s verse, he rapped it effortlessly along with some help from the crowd. A personal favourite moment for myself was when he sang “East Atlanta Love Letter”, just purely based on the fact that this tune is one of my favourite songs of 2018. A downside for me was when 6lack did “Balenciage Challenge” which on record features Offset from the Migos. I’m not sure if it was the fact that band didn’t have this song down entirely yet, or if its just reworked in a way to sound different live, but it was hard to jam along to this song due to it almost being unrecognizable. Another critical feedback from the show was the overall sound. It’s difficult to say whether it was the sound engineer or because venue has only newly reopened as a convention centre/musical venue. The room itself is so huge that if you’re standing at the back circle of the crowd, it can tend to sound hollow and weak. There were reports that 6lack’s own team managed the front of house sound, but in any case I imagine this will be something that will improve as more time goes on. Big ups to Timbre Concerts for putting on the show!